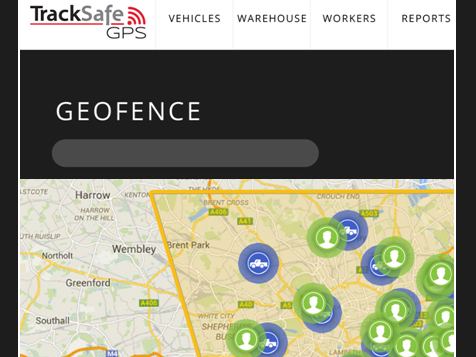 How do I buy a TrackSafe GPS Franchise? One System: Tracking Workers and their Tools. Market the most unique GPS system in the world.Only TrackSafe’s patented system can track workers, their tools, and their vehicles simultaneously. Virtually any business with workers in the field needs TrackSafe for worker safety and tool loss-prevention. Open TrackSafe GPS in any of these available states: AK, AL, AR, AZ, CA, CO, CT, DC, DE, FL, GA, IA, ID, IL, IN, KS, KY, LA, MA, MD, ME, MI, MN, MO, MS, MT, NC, ND, NE, NH, NJ, NM, NV, NY, OH, OK, OR, PA, RI, SC, SD, TN, TX, UT, VA, VT, WA, WI, WV, WY. 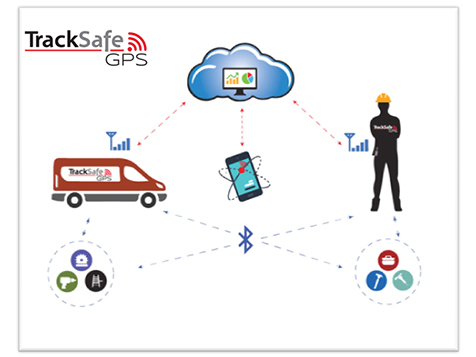 What makes TrackSafe GPS unique? We are not another vehicle tracker. Many fleets already use GPS trackers in their vehicles. But they only track vehicles, not workers once they leave their vehicle, and certainly not their tools and equipment. At TrackSafe we believe a company’s most valuable assets are its highly trained workers, and the tools they need to be successful on the job. Always know where your workers are. Once a worker leaves his vehicle, employers need to know where they are, particularly workers who are alone in the field.Most employers are not allowed to track smartphones due to privacy issues, and only TrackSafe can provide such valuable data to company management. Worker Safety. Only TrackSafe provides true Man-Down and SOS alerts. When a worker is hurt they often can’t signal for help. With TrackSafe, when a worker goes down and doesn’t move, an alert is automatically sent to management so help can be sent. True tool loss-prevention system. Many work-trucks carry over $30,000 in tools and equipment, and items are lost, forgotten or stolen all the time. A recent study by Lexus showed the average dealership mechaniclost over $1,500 in tools each year. That’s each mechanic, and in a controlled environment. Imagine the loss for workers in the field. The TrackSafe system tracks tools and equipment in the vehicle, plus tools with the worker on the jobsite. 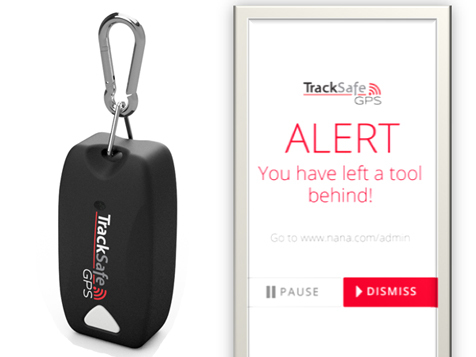 When a tool becomes electronically untethered, an alert is sent to the worker’s TrackSafe device and lets them know of the lost or forgotten tool before they even get back to their vehicle. Cloud-based software that provides workers and management the accurate data they need to increase productivity and accountability. Yes, we also track vehicles. 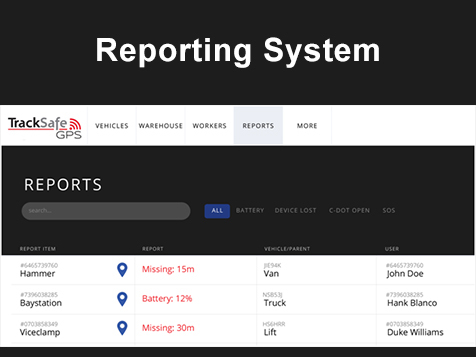 In addition to tracking workers and their tools, we also provide GPS tracking for all vehicles, or can work alongside existing vehicle tracking systems. Quite simply, only TrackSafe can provide companies with a safety net covering vehicles, workers, and important tools and equipment with one system. Patented system means only you can offer such a unique and needed system in your market. No competitor can offer anything remotely close to TrackSafe. You will market directly to businesses in your territory that have fleet vehicles and workers in the field. Great margins on the sale of each TrackSafe system. Build a recurring revenue base by sharing in monthly billing for cellular data and service. Large exclusive territories with a minimum population of 300,000. No royalties or marketing fees. You grow / we grow. No special technical or mechanical skills are needed. No inventory to carry and manage. No retail location needed and you may operate from your home. TrackSafe will not be available in retail or online stores, and may only be purchased through TrackSafe and our franchisees. You must have sales experience. Successful franchisees will contact businesses directly and demo the product. It’s old-school, face-to-face marketing that will build your company and recurring revenues. You must have a minimum $50,000 to invest, plus funds or income to support your family while building your business. Husband and wife teams, or partners, are ideal as one can focus on sales, and the other can focus on scheduling installations and office duties. TrackSafe GPS is not currently active in our directory, but here are some other recommended selections for you to explore.